Background Animal data suggest the potential anticarcinogenic effects of calcium and vitamin D on breast cancer development. However, epidemiologic data relating calcium and vitamin D levels to breast cancer have been inconclusive. Methods We prospectively evaluated total calcium and vitamin D intake in relation to breast cancer incidence among 10 578 premenopausal and 20 909 postmenopausal women 45 years or older who were free of cancer and cardiovascular disease at baseline in the Women's Health Study. Baseline dietary intake was assessed by a food frequency questionnaire. We used Cox proportional hazards regression to estimate hazard ratios and 95% confidence intervals. Results During an average of 10 years of follow-up, 276 premenopausal and 743 postmenopausal women had a confirmed diagnosis of incident invasive breast cancer. Higher intakes of total calcium and vitamin D were moderately associated with a lower risk of premenopausal breast cancer; the hazard ratios in the group with the highest relative to the lowest quintile of intake were 0.61 (95% confidence interval, 0.40-0.92) for calcium (P = .04 for trend) and 0.65 (95% confidence interval, 0.42-1.00) for vitamin D intake (P = .07 for trend). The inverse association with both nutrients was also present for large or poorly differentiated breast tumors among premenopausal women (P≤.04 for trend). By contrast, intakes of both nutrients were not inversely associated with the risk of breast cancer among postmenopausal women. Conclusions Findings from this study suggest that higher intakes of calcium and vitamin D may be associated with a lower risk of developing premenopausal breast cancer. The likely apparent protection in premenopausal women may be more pronounced for more aggressive breast tumors. Epidemiologic data on the association of intakes of calcium and/or vitamin D with breast cancer risk have been inconclusive. Some10-15 but not all16-20 studies reported an inverse association between calcium and/or vitamin D intake and breast cancer risk. It is notable that several12,15,17,19,20 of these studies lacked information on supplemental calcium and/or cholecalciferol (vitamin D) intake, which may attenuate the overall association with breast cancer risk. Few studies10,11,19 have also taken into account the strong relatedness between calcium and vitamin D and their similar effects on breast cancer by examining both nutrients in the analysis. Moreover, because of the potential regulatory role of calcium and vitamin D in estrogen-driven cell proliferation,21-23 intakes of calcium and vitamin D may have different effects against the development of premenopausal and postmenopausal breast cancer. However, data on the association according to menopause status are sparse. In the present study, we prospectively examined total intakes of calcium and vitamin D from dietary and supplemental sources in relation to breast cancer risk among premenopausal and postmenopausal women from a large cohort study. The Women's Health Study is a recently completed randomized trial evaluating low-dose aspirin and vitamin E therapy for the primary prevention of cancer and cardiovascular disease.24-26 During 1993 and 1995, 39 876 women 45 years or older who were free of cancer and cardiovascular disease were enrolled in the trial and completed a self-administered questionnaire at baseline about their medical history and lifestyle factors. In the present analysis, we excluded 8389 who provided insufficient dietary information or had biologically uncertain or unknown menopause status. These exclusions left a total of 10 578 premenopausal and 20 909 postmenopausal women. Total intakes of calcium and vitamin D included sources from both diet and supplements. Major dietary sources of both nutrients came mostly from dairy products, which accounted for 53% and 39% of total calcium and vitamin D intake, respectively. Other dietary sources of calcium included pizza (4%), English muffin (3%), orange juice (2%), and bread (2%); other sources of vitamin D included dark fish (9%), tuna mix (5%), cereal (4%), and margarine (4%). Calcium from supplements (22%) was based on individual calcium supplements and multivitamins containing calcium. Vitamin D from supplements (30%) was obtained from multivitamins containing vitamin D. When evaluating the amount of intake from supplements, we also took into account the multivitamin brand. Every 6 months during the first year and annually thereafter, participants reported on follow-up questionnaires whether they had been diagnosed as having breast cancer. For those who reported a diagnosis of breast cancer and for those who had died, we sought permission to obtain medical records and pathology reports. The end point committee of physicians reviewed and extracted information from the records. During an average 10 years of follow-up, 276 premenopausal and 743 postmenopausal women had a confirmed diagnosis of incident invasive breast cancer. We categorized women according to quintiles of intakes of calcium, vitamin D, and other dietary sources of calcium and vitamin D among all women. We also compared mean values or proportions of baseline risk factors for breast cancer across quintiles of total calcium and vitamin D intake. We calculated person-years of observation for each participant from the date of randomization to the date of confirmed cancer, death from any cause, or March 31, 2004, whichever occurred first. We then used Cox proportional hazards regression to estimate hazard ratios (HRs) and 95% confidence intervals (CIs) for the development of premenopausal and postmenopausal breast cancer. Analyzed models were adjusted for age and randomized treatment assignment and, in addition, for risk factors for breast cancer assessed at baseline, including body mass index (calculated as weight in kilograms divided by height in meters squared), physical activity, family history of breast cancer in a first-degree relative, history of benign breast disease, age at menarche, parity, age at first birth, multivitamin use, smoking status, alcohol consumption, and total energy intake in premenopausal and postmenopausal women, and age at menopause and postmenopausal hormone therapy in postmenopausal women. When we additionally adjusted, in premenopausal and postmenopausal women, for the presence of a mammogram screening test (yes or no) obtained during the first 12-month follow-up questionnaire, we excluded cases confirmed during the first year of follow-up. For the time-varying analysis of calcium and vitamin D intake, we used Cox proportional hazards regression to calculate HRs and 95% CIs with menopause status updated in 12-, 36-, 60-, and 96-month questionnaires. Because several dietary factors such as vitamin D, phosphorus, fat, and lactose have been reported to affect calcium absorption, we examined whether these dietary factors (in tertiles) modified the association of calcium intake with breast cancer risk. We also examined the associations, in premenopausal and postmenopausal women, of total intakes of calcium and vitamin D with various tumor characteristics, including hormone receptor (ie, estrogen receptor and progesterone receptor) status, tumor size, lymph node metastasis, and tumor grade. Tests for trend were performed by fitting the median nutrient intake for each quintile as continuous variables in the models. All P values were 2 sided. The mean (SD) intake values of total calcium and vitamin D in this cohort were 1021 (498) mg/d and 353 (244) IU/d, respectively. Premenopausal and postmenopausal women had similar total intakes of calcium and vitamin D (965 vs 1049 mg/d for mean total calcium; 332 vs 364 IU/d for mean total vitamin D). Total intakes of both nutrients were moderately related; the Pearson correlation coefficients were 0.47 and 0.41 in premenopausal and postmenopausal women, respectively. Overall, women who consumed more calcium and vitamin D were older, leaner, more physically active, and more likely to receive a mammogram screening test, hormone therapy, and multivitamin and calcium supplements, but were less likely to be current smokers (Table 1). Women with higher intakes of calcium and vitamin D consumed less alcohol and total fat, but consumed more phosphorus and lactose. Moreover, women who were in the higher calcium and vitamin D intake groups had fewer childbirths. The relation between calcium and vitamin D intake and breast cancer was modified by menopause status (multivariate P values for interaction were .04 and .08 for calcium and vitamin D intake, respectively). Premenopausal women who consumed more total calcium and vitamin D were at a lower risk of developing breast cancer; the multivariate HRs (95% CIs) in the highest quintile group relative to the lowest one were 0.61 (0.40-0.92) for total calcium (P = .04 for trend) and 0.65 (0.42-1.00) for total vitamin D intake (P = .07 for trend). Additional adjustment for mammogram screening test in premenopausal women did not substantially change the associations (multivariate P values were .06 and .11 for calcium and vitamin D intake, respectively). The results were also unchanged when we simultaneously adjusted for both nutrients in the model (data not shown). For time-varying analyses with updated menopause status (n = 115 premenopausal cases), the results were unchanged for total calcium intake (multivariate P = .06), although the association between vitamin D intake and breast cancer risk was attenuated (multivariate P = .20). Separate analysis of calcium intake from diet or from supplements showed a nonsignificant inverse association with premenopausal breast cancer (Table 2). There was also a nonsignificant inverse association between vitamin D from a supplemental source and premenopausal breast cancer (Table 2). Total intakes of calcium and vitamin D were not inversely associated with breast cancer in postmenopausal women (Table 2). Additional adjustment for mammogram screening test did not appreciably change the associations (data not shown). The results were unchanged for time-varying analysis with updated menopause status (n = 866 postmenopausal cases), or when both nutrient intakes were simultaneously adjusted for in the multivariate model (data not shown). No significant association was observed in this group of women when we performed an analysis of nutrient intakes from dietary or supplemental sources (Table 2). Both nutrient intakes were also not inversely associated with breast cancer risk in postmenopausal women according to use of hormone therapy or the type of hormone therapy (estrogen alone, estrogen plus progestogen, and other regimens) (data not shown). Intake of dairy products was nonsignificantly and inversely associated with premenopausal breast cancer (Table 2). When we further excluded nonwhite women (5.0% of the total population) from the analysis, the association between dairy product intake and premenopausal breast cancer became marginally significant; the new HRs (95% CIs) in the higher 4 quintiles were 0.66 (0.44-0.99), 0.72 (0.49-1.07), 0.70 (0.47-1.04), and 0.60 (0.39-0.91) (P = .06 for trend). However, no significant results were obtained for intake of low- or high-fat dairy products (data not shown). Dairy products were not shown to be related to postmenopausal breast cancer. We further observed no effect modification by intakes of fat and lactose on the relation between calcium intake and breast cancer risk (data not shown). However, phosphorus intake modified the relation, in premenopausal and postmenopausal women, between calcium intake and breast cancer with an opposite direction (P value for interaction was .02 in premenopausal and postmenopausal women); a nonsignificant inverse association was seen among premenopausal women in the lowest tertile of phosphorus intake but among postmenopausal women in the highest tertile. In addition, we observed a significant interaction between calcium and vitamin D intake and development of postmenopausal breast cancer (P = .005 for interaction). There was a nonsignificant inverse association between calcium intake and postmenopausal breast cancer risk in the group with the highest tertile of vitamin D intake; the multivariate HRs in the higher 4 quintile groups were 0.91 (0.51-1.63), 0.64 (0.36-1.12), 0.82 (0.49-1.37), and 0.65 (0.39-1.08) (P = .11 for trend). However, the joint relationship of calcium and vitamin D intake to premenopausal breast cancer risk was not significant (P = .16 for interaction). Additional analysis of total calcium intake carried out according to tumor characteristics among premenopausal women showed that higher intake of total calcium was marginally associated with a lower risk of progesterone receptor–positive and more aggressive breast tumors, including larger tumors (>2 cm), those with positive lymph nodes, or poorly differentiated breast tumors (Table 3). By contrast, total calcium intake was not inversely associated with postmenopausal breast cancer according to various tumor characteristics; positive associations were seen between calcium intake and tumors with positive lymph node metastasis and between calcium intake and moderately differentiated breast tumors (Table 3). Similar to the findings of total calcium intake and premenopausal breast cancer, vitamin D intake was inversely associated with risk of estrogen receptor–positive, progesterone receptor–positive, larger (>2 cm), and poorly differentiated breast tumors (Table 4). When we evaluated the association with combined estrogen and progesterone receptor status of breast tumors, we found a marginally inverse association with estrogen receptor–positive/progesterone receptor–positive tumors in premenopausal women (P = .07 for trend). However, no inverse associations could be observed with total vitamin D intake among postmenopausal women according to tumor characteristics; a marginally positive association was observed in postmenopausal women between vitamin D intake and moderately differentiated tumors (Table 4). In this prospective cohort, higher intakes of total calcium and vitamin D were moderately associated with a lower risk of breast cancer among premenopausal women, and the lower risk was more pronounced in more aggressive breast tumors. However, intakes of calcium and vitamin D were not inversely associated with postmenopausal breast cancer, and the associations were unchanged by tumor characteristics. In the main analysis, we found that higher intakes of calcium and vitamin D were moderately associated with a lower risk of breast cancer among premenopausal women, although the inverse association was not present after menopause. Consistent with our observations, 2 female cohort studies examining premenopausal and postmenopausal women reported an inverse association of calcium and vitamin D intake with breast cancer risk10 or breast density32 only among premenopausal women. The recent Women's Health Initiative randomized trial of calcium plus vitamin D therapy also found no reduction in risk of breast cancer among postmenopausal women taking 1000 mg/d of elemental calcium and 400 IU/d of 25-hydroxyvitamin D3.33 However, 2 other cohort studies reported an inverse association with breast cancer risk11 or breast density levels34 among postmenopausal women, although 1 of the 2 studies found no risk reduction in breast cancer with higher vitamin D intake.11 Another nested case-control study reported moderate risk reduction of breast cancer among older women with high circulating levels of 25-hydroxycholecalciferol, which is more sensitive to dietary intake.35 Most case-control studies showed no significant association between calcium and/or vitamin D intake and breast cancer risk in middle-aged or older women.16-19 One study14 among them evaluating the association according to menopause status found an inverse association between calcium intake and premenopausal breast cancer. The observation of a positive association between calcium and vitamin D intake and breast cancer risk in postmenopausal women is unexpected. One possible explanation may be attributable to the bias of the high mammogram screening rates in postmenopausal women. However, this explanation is not supported by our analysis of additional adjustment for the presence of the screening test. It is also possible that the protective effects of calcium and vitamin D against postmenopausal breast cancer occur only when intakes of both nutrients are substantially high, as inadequacy of both nutrients is very common in postmenopausal women.44,45 Our data suggest that postmenopausal women consuming higher levels of calcium may be at a lower risk of developing breast cancer when the level of vitamin D consumption was also high. 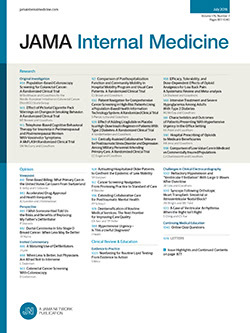 It has been suggested that a minimum of 1000 IU/d of vitamin D intake may be necessary to achieve adequate vitamin D concentrations, especially when sunlight exposure is minimal.46 Accordingly, 400 IU/d of vitamin D from the Women's Health Initiative trial may be insufficient to reach the hypothesized risk reduction. Finally, it is also possible that other factors unknown to us may have contributed to the findings in postmenopausal women. In this cohort, higher total calcium and vitamin D consumption was moderately associated with a lower risk of more aggressive breast tumors in premenopausal women. In vivo studies have suggested the effectiveness of vitamin D treatment in inhibiting late events of breast tumorigenesis, although similar inhibitory effects were also observed at an early stage.47,48 In addition, vitamin D has been demonstrated to be effective in both in vivo and in vitro data for treating large breast tumors, mainly through the mechanisms of enhancing apoptosis and reducing proliferation of tumor cells.49,50 Similar to the protective role of vitamin D, calcium has been shown in in vitro studies to slow the progression of breast cancer through its inhibition of the secretion of proteins responsible for advanced breast tumors, one of which is parathyroid hormone-related protein, a protein that contributes significantly to the metastatic potential in bone.51 Calcium may also protect against advanced breast cancer through the vitamin D–induced apoptotic pathway.52 We, however, observed no such protection by calcium and vitamin D against the development of more aggressive breast tumors in postmenopausal women. Our findings need to be confirmed in other studies. The strengths of this study include the large sample size, the prospective design, the long duration, high follow-up rates in the cohort, and the comprehensive dietary information. We also have a large number of breast cancer cases in this cohort. However, the present study is also limited by several factors. First, nutrient intake was assessed only once at baseline and is subject to measurement error due to random within-person variation. Second, we did not have information about vitamin D intake from sunlight exposure, which is the major source of vitamin D for most people.53 Our lack of information on sun exposure may have attenuated the true association with vitamin D intake. Finally, our findings may be subject to chance because so many subgroup analyses have been performed. In conclusion, findings from the present study suggest that higher intakes of calcium and vitamin D from dietary plus supplemental sources may be associated with a lower risk of breast cancer among premenopausal women. The inverse association in premenopausal women may be more pronounced in more aggressive breast tumors. Further investigation is warranted to study the potential utility of calcium and vitamin D intake in reducing the risk of breast cancer. Correspondence: Jennifer Lin, PhD, Division of Preventive Medicine, Brigham and Women's Hospital, Harvard Medical School, 900 Commonwealth Ave E, Boston, MA 02215 (jhlin@rics.bwh.harvard.edu). Accepted for Publication: January 31, 2007. Author Contributions:Study concept and design: Lin and Manson. Acquisition of data: Lee. Analysis and interpretation of data: Lin, Manson, Cook, Buring, and Zhang. Drafting of the manuscript: Lin. Critical revision of the manuscript for important intellectual content: Lin, Manson, Lee, Cook, Buring, and Zhang. Statistical analysis: Lin and Cook. Obtained funding: Buring. Administrative, technical, and material support: Manson, Lee, and Zhang. Study supervision: Manson and Lee. Financial Disclosure: Dr Cook has received investigator-initiated research funding and support as principal investigator from the National Institutes of Health (the National Heart, Lung, and Blood Institute and the National Cancer Institute) and research support from Roche Molecular Systems and has served as a consultant for Bayer in 2003. Funding/Support: This study was supported by grant CA47988 from the National Cancer Institute, grant HL43851 from the National Heart, Lung, and Blood Institute, and career development award CA112529 from the National Cancer Institute (Dr Lin).